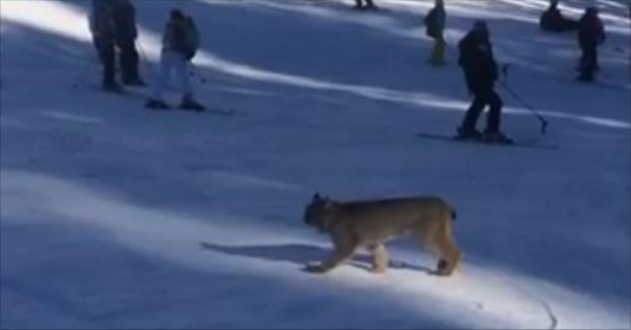 No need to blink, that really is a lynx strolling casually across a Colorado ski slope. A spokesman for Colorado Parks and Wildlife said the lynx on the video looks healthy and doesn’t appear to be suffering from an injury. The lynx isn’t wearing a tracking collar, indicating it was born in the wild. 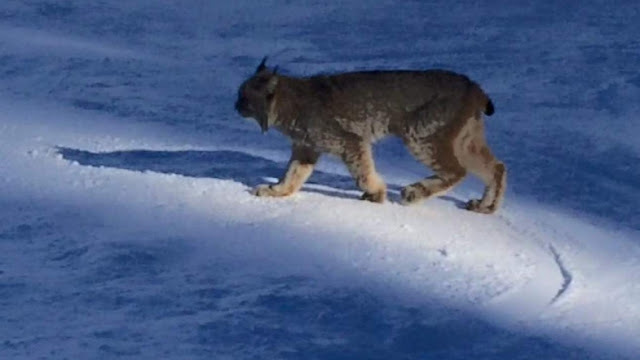 Parks and Wildlife spokesman Joe Lewandowski said the lynx’s casual behavior around humans could be a concern — wildlife officials don’t want animals to become too habituated to people. But he also said the lynx, at the top of the food chain in its habitat, wouldn’t likely be easily intimidated. Lynx had once been extinct in Colorado, but, in 1999, state wildlife officials began reintroducing the cats in the San Juan mountains of southwestern Colorado. Parks and Wildlife estimates there are now between 150 and 250 lynx spread out across Colorado, and Lewandowski said the San Juans — in which Purgatory sits — remain a “stronghold” for lynx. The lynx on the video is likely three or four generations removed from those first reintroduced cats, Lewandowski said. Responses to "A rare lynx walks through a stunned crowd of skiers and snowboarders"
This is sad, it means humans have pushed further and further into wild animals territory leaving them no choice but to mix with us. Sadly these animals are at risk of being shot because of the risk to us and as we take away their hunting grounds, they will be pushed into an ever decreasing amount of land and probably end up starving to death if they're not eradicated by us.